Current pricing (as of this writing) on the Brocade RX-BI-16XG 16 ports expansion module is $7,450 with a lifetime warranty. This blog is forever, the pricing on this module is not. Generally, the price is trending down, so it’s best to call us for the most recent price or discounts 855-932-6627. 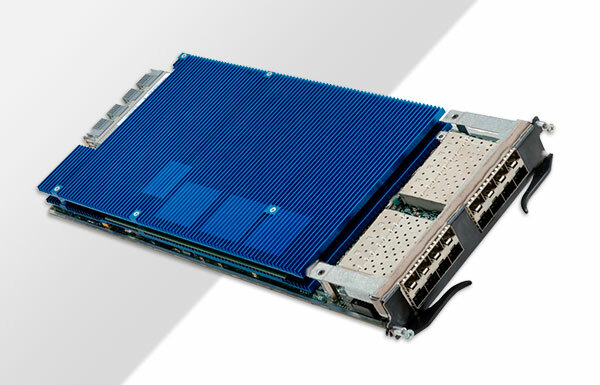 The RX-BI-16XG 16 port expansion module is compatible with the Brocade BigIron RX switches. These BigIron switches provide the 2.2 billion packet-per-second offerings that scale from the enterprise edge to the core with hardware-based IP routing to 512,000 IP routes per line module. – Management Module: Systems configured with dual management modules with sub-second detection and failover. – Switch Fabric Element Redundancy: Systems configured with a redundant switch fabric module support millisecond failover performance. – Hitless Management Failover (HMF): Stateful failover ensures that the forwarding engines on the line modules are not impacted by a management failover. This capability enables non- stop packet forwarding in the event of a management module failover. – Redundant Power Supplies: All three chassis support M+N power module redundancy for AC and DC power configurations. BigIron switches also offer graceful BGP (Scalable to 2 million routes) and OSPF (Scalable to over 400,000 routes) restart.